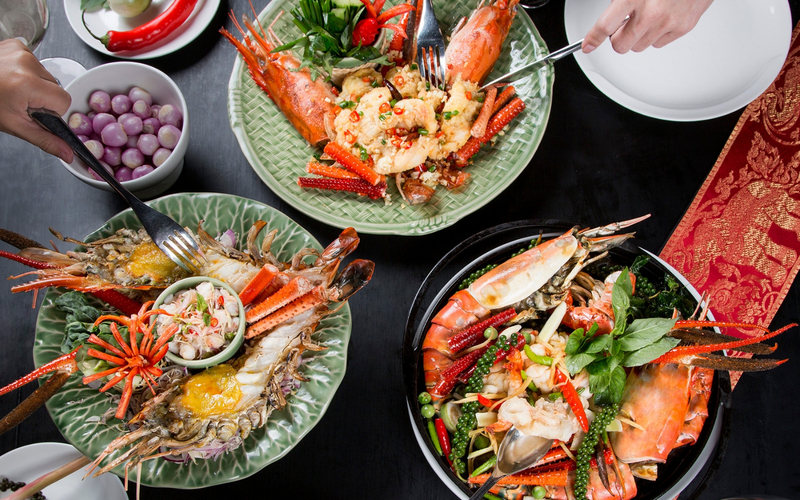 Experience scrumptious “Live River Prawn” feast prepared by Thai Chef de Cuisine, Yannavit Theerasomboonkun and his talented culinary team, available from 22 January to 30 June 2019 at THB2,200++ per dish. Savour the finely selected giant freshwater river prawns from Ayutthaya province, freshly cooked with a variety of local herbs and spices at Salathip. Highlight dishes: Goong Mae-Naam Phad Char, the royals’ favourite Sang-Wa Goong Mae-Naam and Goong Mae-Naam Phad Prik Gue. For more information and to make a reservation, guests may contact restaurant reservations using the contact details provided on this page. Diners may also book directly via the hotel’s website by clicking the “Make a Reservation” button.